1982’s Blade Runner is often revered as one of the most innovative films in the history of the science fiction genre, and for decades it has been hailed by several critics as a gold standard for modern day sci-fi. It’s breathtaking visuals and thought provoking commentary on humanity make it far ahead of its time. Yet, there has always been some pushback against Ridley Scott’s exploration of a dark, grimy, futuristic California from critics and moviegoers alike. The complaints mainly center around the excruciatingly slow pace of the movie, uninteresting protagonist Rick Deckard (Harrison Ford), and a romance that falls flat. Now, in an age where nine out of ten sequels are soulless cash grabs, what was the likelihood of a 35 year old property getting a sequel that not only encapsulates the forward thinking spirit of the original, but also improves upon its weaknesses? Yeah, the answer is “not much.” Though somehow, against all odds, Blade Runner 2049 checks off all of those boxes. 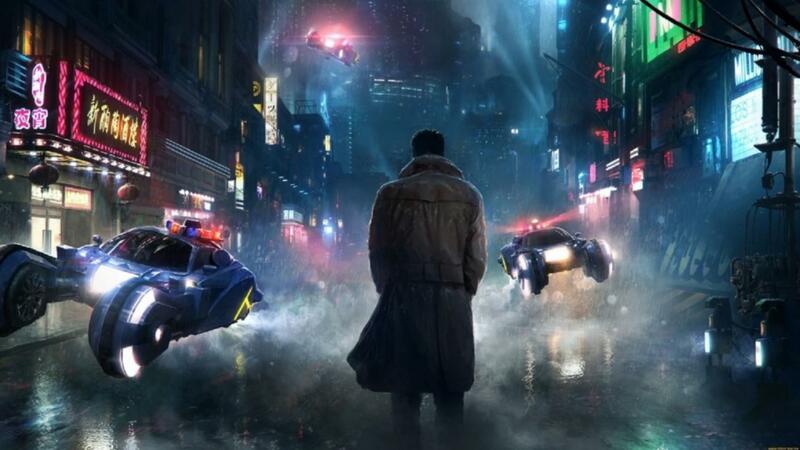 Set 20 years after the end of the original, Blade Runner 2049’s lead character Officer K, played by one of the finest actors working today, Ryan Gosling, is tasked with hunting down and exterminating the outdated “Replicants,” or Artificially Intelligent creations who think, act, and feel the way humans do. Replicants were designed for slave labor, but older models proved to become dangerous and uncontrollable, so despite Officer K being a Replicant himself, he must hunt down his own kind. Without revealing much more, this film has an incredible ability to capture and maintain the audience’s attention through several intense scenes, a trait many felt the original lacked. As for how the movie looked and felt, Visionary director Denis Villeneuve, creator of the Oscar winning film Arrival (2016), ensured that the visuals he put to screen would be just as memorable and impactful as the original Blade Runner’s, if not more so. Considering visual presentation was the strongest aspect of the 1982 film, Villeneuve had to find a way to expand upon that, which he certainly did. The wide shots shown in the film, whether depicting a barren desert, a beautiful snowfall, or the grimy underbelly of a futuristic Los Angeles, are all masterpieces of cinematography, orchestrated by the legendary Roger Deakins (The Shawshank Redemption, A Beautiful Mind). Hans Zimmer, of The Dark Knight Trilogy and Inception fame delivers a powerful score that, while by no means revolutionary, compliments the film nicely. Gosling does a splendid. job playing to his strengths as the quiet, stoic, and dutiful lead. His character’s chemistry with the software program/love interest Joi (Ana de Armas) is tangible, unlike the lifeless nature of the original’s. Harrison Ford returns as Deckard to provide audiences with undeniably his best performance since the third installment of the Indiana Jones series roughly thirty years ago. It is surprising to see Ford actually putting effort into his performance in a sequel to a beloved series, especially after his Indiana Jones: Kingdom of the Crystal Skull, and Star Wars: The Force Awakens performances were such great disappointments. He clearly cares for the character of Deckard, and portrays him in a way that lets the audience know that he has changed since the original, which plays perfectly into both the movie’s story and overall theme. Though the director of the original, Ridley Scott (Alien), worked as a producer on the film, it is clear that Villeneuve had a distinct vision for his film, and without caving to pressure from rabid fans or greedy studios, created a masterpiece. Although Blade Runner 2049 does move slowly, the audience is constantly immersed in the story or the visuals, so there is never a dull moment. If you are a fan of science fiction films, appreciate thought provoking themes that question your humanity, are in love with Ryan Gosling, or just want to watch Jared Leto being evil, please check out this movie. Villeneuve’s third film in as many years is without a doubt one of the best 2017 has to offer, likely the most memorable sci-fi flick in recent memory, and arguably one of the greatest sequels ever made. Best article I’ve ever read in my life. Mind blowing takes. Keep up the great work, Matthew Fronduto.